The Equalizer Movie Review | Watch it! Home → Movie Review → The Equalizer Movie Review | Watch it! I really enjoyed this movie. 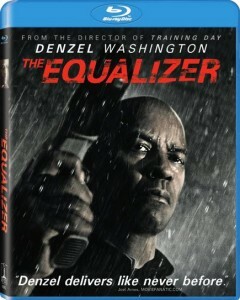 If you like revenge or vigilante type movies, you will love The Equalizer starring Denzel Washington. The movie had a few flaws and weaknesses, but I was able to overlook those because Denzel Washington did a great job, as usual, as the lead. IMDB rated 7.6 — synopsis: A man believes he has put his mysterious past behind him and has dedicated himself to beginning a new, quiet life. But when he meets a young girl under the control of ultra-violent Russian gangsters, he can’t stand idly by – he has to help her. Come back and leave a comment to let others know if you liked it as much as I did. My wife gave it an 8.